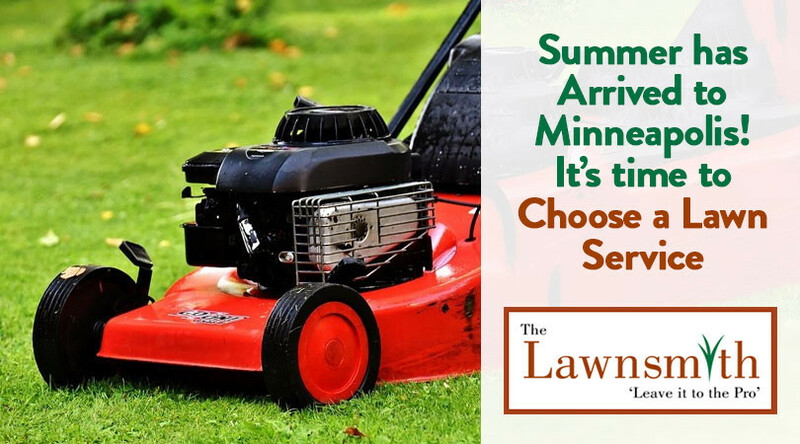 When you contract with The Lawnsmith to mow your lawn this summer, the first thing we do is set a day and time that’s convenient for your schedule. You can expect a member of our crew to arrive on time and mow the lawn in a neat and efficient manner. In addition to leaving your lawn looking well-manicured, we are happy to bag lawn clippings and other debris and remove them upon request. Not every lawn service Minneapolis MN is willing to go above and beyond as we are. Maintaining a summer healthy lawn at your home in Bloomington, Minnesota or the surrounding communities takes a lot of work. It is also a big investment of time. For example, fertilizing your lawn takes several applications yet it’s one of the healthiest things you can do for it. The same is true of services like aeration, dethatching, overseeding, and lawn renovation. If you’re considering a makeover for your lawn and want to hire a lawn service Minneapolis MN to do it, The Lawnsmith is available and happy to help. Just contact us to learn more about each individual service. Many individuals and businesses offer the same types of services as The Lawnsmith. However, it isn’t easy to disguise the mistakes that an inexperienced crew makes with your lawn. We established our company in 2008, and our owner and most crew members have been in the business much longer than that. In fact, people sometimes call on us to re-do the work of another lawn service. Although a new business or a teenager looking to make some summer cash might charge you less, it ultimately isn’t worth it if you end up dissatisfied with the work. Please let us know if you need additional information as you research who to hire for lawn service Minneapolis MN this year. We are happy to provide references and answer any of your remaining questions. The telephone number to our location in Hopkins, Minnesota is 952-937-5000.